Rainbow Flourite is an amazing array of varied color. 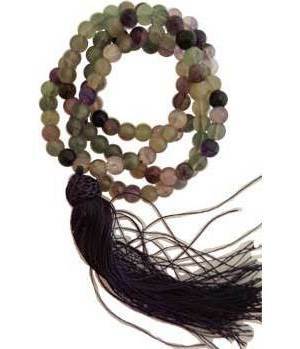 These beads range from clear to green to purple in soft tones online a gem rainbow. Corded mala 108 beads. 8mm with tassel.